Supergirl will return, but instead of getting a new ongoing series, her Rebirth-era title is going back into publication. Picking up after Supergirl #20 in April, Syfy Wire exclusively revealed that issue #21 will hit stands sometime in the month of August. The creative team of Marc Andreyko and Kevin Maguire are picking up Kara Danvers’ adventures with a new run that will reportedly tie into Brian Michael Bendis’ work on the Superman family of titles. Andreyko confirmed with Syfy Wire that the first year of the book will be something of a detective story in space. Following up on the events of the coming Man of Steel miniseries, Supergirl will follow Kara’s cosmic quest to find answers regarding the new threat Rogol Zaar. He was the big bad guy introduced by by Brian Michael Bendis and Jim Lee in Action Comics #1000. As part of this new run, Supergirl will gain a new costume that has been designed by superstar artist Jorge Jimenez. Andreyko states that the new suit will be explained, and that it serves a specific story purpose during her adventures in space. He was quick to point out that it is not a permanent change, but one used for practical reasons. 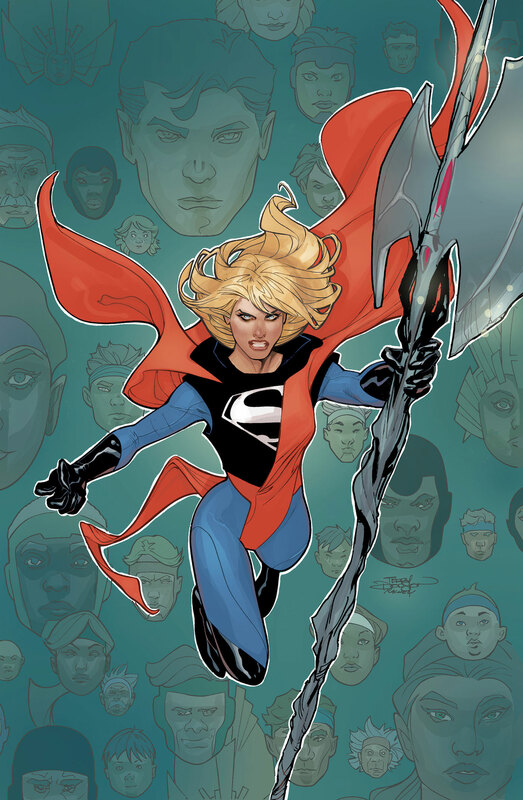 The post DC’s Supergirl Returns with New Creative Team and Costume appeared first on CBR.